Graded independent learning packets that help students to learn the most important words and academic terms they need to succeed at school! Research shows that some of the most effective words students can learn are academic vocabulary and terminology. Knowing these words boosts students’ ability to understand and complete classroom work, homework assignments, standardized tests and more. 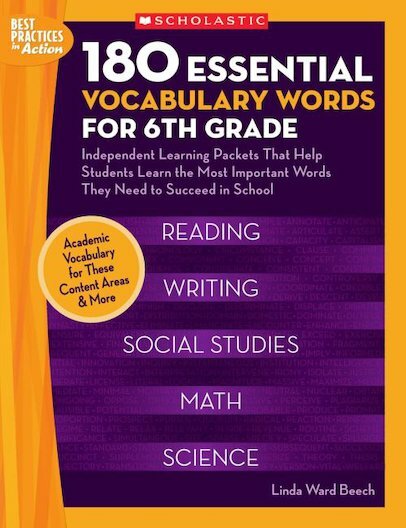 Each of these 18 ready-to-reproduce, four-page lessons gives students multiple encounters with important new words, ensuring that kids really remember them. Writing prompts and engaging activities are also included.